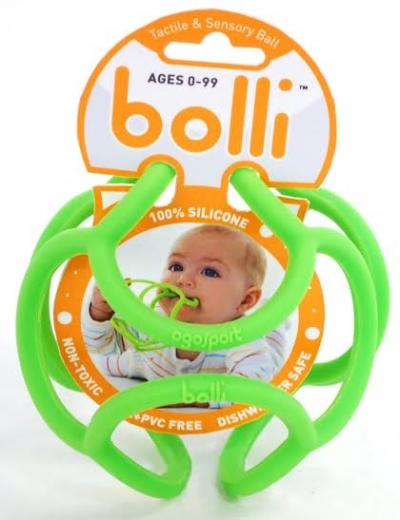 Bolli is a tactile and sensory ball that infants and toddlers can teethe, roll with, stretch, and squeeze. Made from 100% nontoxic, BPA and phthalate free, food grade silicone you can feel safe as your little one plays! A fun toy to stretch and play with. Great material for teething! Fun colorful teething toy! Safe and soft and easy to play with!